The best approach to vehicle service is to prevent maintenance problems before they occur. 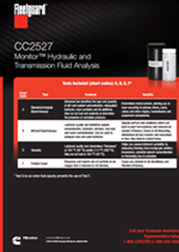 Cummins Filtration offers multiple solutions for ensuring your equipment's fluids are in optimal condition. 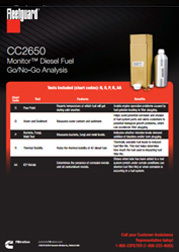 Clean, uncontaminated fuel is key to maximum fuel system performance and longevity for modern diesel engines. Without high quality fuel filtration and regularly scheduled service, fuel contamination can lead to costly repairs and engine downtime. 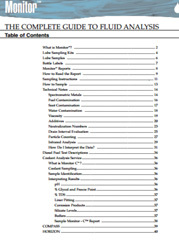 A fuel cleanliness study found that more than 50% of fuel used worldwide does not meet the suggested industry cleanliness levels. 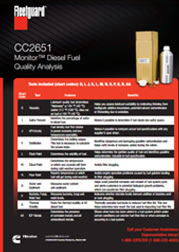 By testing your fuel source on site with the Fleetguard® Portable Fuel Cleanliness Analysis Kit, you may be able to prevent poor quality fuel from ever reaching your valuable equipment or bulk storage tanks! 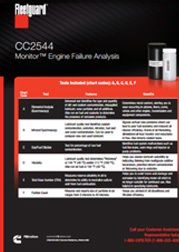 With Cummins Filtration convenient and effective Monitor™ Fluid Analysis program, you can stay advised of your engine system's filtration efficiency and cleanliness. This helps you catch potential trouble spots and fix them early. 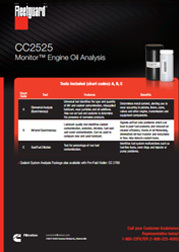 Our broad testing program provides expert laboratory analysis of your diesel engine oil, hydraulic, fuel, transmission and coolant fluids. Results are reported quickly and accurately to keep you informed on how to best maintain your equipment for long service life. Already in the Monitor™ program? Now you can check your fluid analysis results online. Click here to log in. 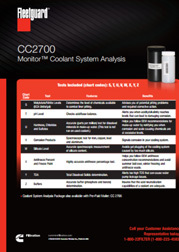 If you do not already have a username and password, call 800-22FILTER and select Monitor™ Fluid Analysis option. 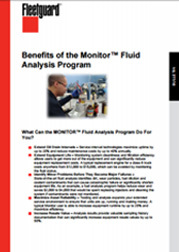 Note: Fluid analysis service is only available in North America.